Hi everyone! I hope you all had a great weekend! I'm sharing a layout that I made for the current issue over at Paper Issues....Prints Charming's Beautiful Papers. I used paper from the Office Suite Collection from Fancy Pants Designs. 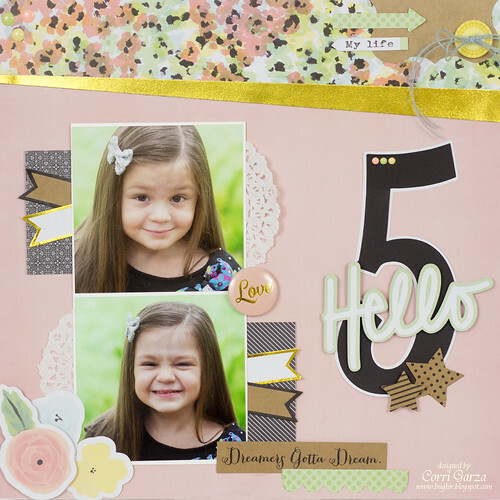 The "Hello" die cut is a free file designed by Jennifer Chapin for Paper Issues. You can down load it here. Head on over to Paper Issues to link up your projects to the current issue for a chance to win the March Main Kit from Scrapbook Circle.